In a society where children (and adults) are getting less sleep, it would make sense to want to induce sleep faster, sooner and easier. It is probably for this reason that the natural sleep aid, melatonin, has gained popularity among parents so quickly. Produced naturally by the body, melatonin sends the body a message that it’s time to sleep; its production peaks at night, when it starts to get dark. But experts are concerned that parents are turning to these sleep aids when they should be using other methods for getting their children to sleep. Considered an acceptable method for overcoming the occasional jet lag or insomnia, melatonin supplements can be purchased over the counter, which means anyone can use them, for as long as they wish to use them, on whomever they can give them to – themselves or their children included. The problem is that these sleep aids haven’t been tested for long term use in either adults or children, which means that parents may be subjecting their normally developing children to some potential risks. 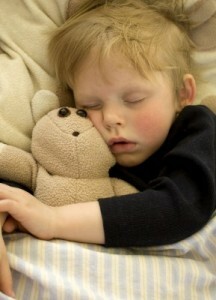 Typically developing children can learn to sleep better if sleep hygiene practices are improved. For example, televisions and electronics can be removed from bedrooms. Time with light-emitting electronics can be limited, and should be ceased at least an hour before bed. Research has also show that daily exercise and diet modifications can help enhance the body’s natural desire for sleep. But there is a time and place for melatonin use among children. Dr. Weiss, who is also president of the Canadian Sleep Society and an associate professor at the University of Toronto, is currently studying the effects of melatonin on children with epilepsy, a seizure disorder. And Dr. Gans often recommends melatonin to the parents of children with autism or ADHD. “For those parents, it’s been a godsend,” Gans said. Zeb Fulcher’s parents can attest. He’s been taking melatonin at night, along with his ADHD medication for about two years. Even Zeb has noticed the difference in his sleeping habits since adding the melatonin to his nighttime regimen. “You chill out from it and chill out so much that you fall asleep,” he told CBC news. Our autistic son uses melatonin from time to time. Because of concerns about the lack of long-term studies, we choose to avoid melatonin most of the time, but every time we go through a new transition – from the school year to summer, from summer to a new school year, his recent surgery, etc. – we use melatonin to help him fall asleep and stay asleep. He often wakes up in the middle of the night during these transitions, and, even if he has a hard time falling asleep and staying asleep, he’ll wake up extremely early during these transitions or changes. We can’t stop all changes in life, but we can do some things to help make those changes and transitions a little easier for him. Melatonin is one of the tools we use to do that, but, again, it’s not our daily go-to and it’s not something we rely heavily on. We also have his regular medications, breathing, reading regular books before bed, heavier blankets to help with calming him at night, meditation or relaxation techniques, and good sleep hygiene habits. Sometimes we fail miserably, but most days, we’re able to keep his sleep schedule somewhat normal, and, as a result, keep him more regulated throughout the day.